It is all about the choice! We must not let them infringe upon our choice in khoats! This is just ghastly. GHASTLY! Woo are really steppin up your khampaign now, Tubey! Tell it like it is! 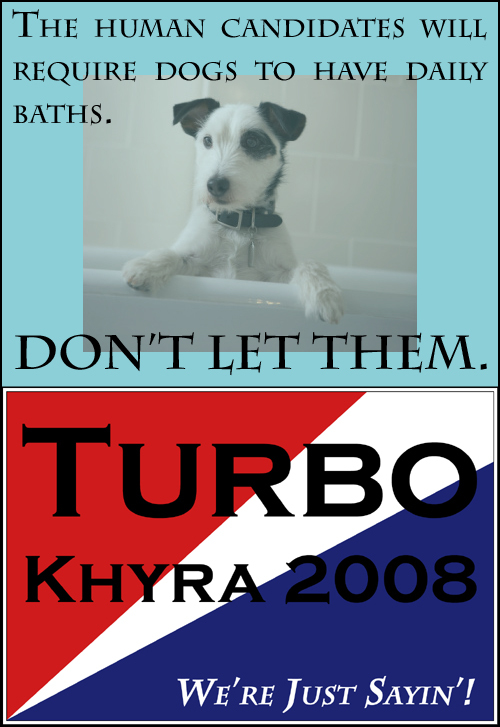 Star & Jack, voting the Tubey/Khyra ticket all the way! You are the only one making sense! Keep it up!